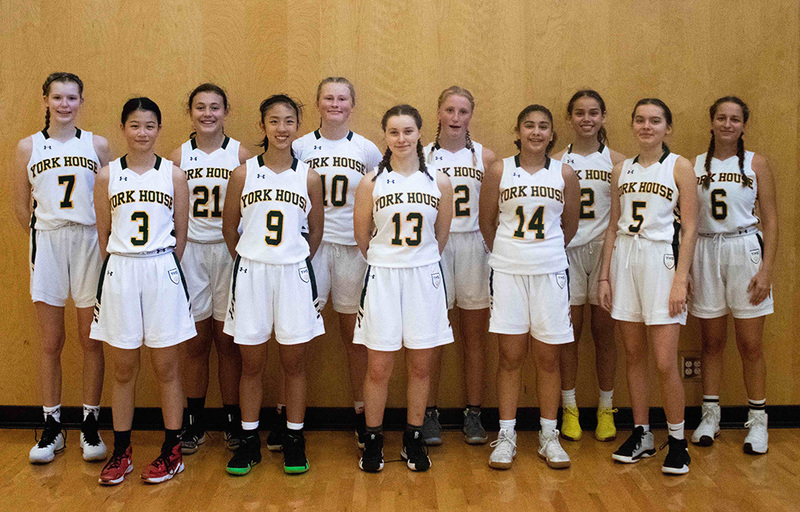 For the first time since the 2008-09 season, the Tigers Junior Basketball team has qualified for the Junior BC Championships. The BC Championships will take place February 27 – March 2, at the Langley Events Centre. The Tigers qualified early through a relatively new system of provincial qualifying. Twenty-four teams participate in the BCs with 16 of those teams earning their spot through the traditional regional zone championship tournaments in mid-February. Eight other teams qualify via specially designated ‘Provincial Qualifying Tournaments’ that take place in January all over BC. This past weekend, your Tigers won a ‘provincial qualifying tournament’ by defeating Burnaby Mountain easily in game one. They then defeated provincially ranked Pitt Meadows and KLO from Kelowna in the final. The final was a hard-fought, intense game between two strong teams with YHS winning 54-42. Tournament allstars included Nadeen W, Avery R, and Finny B was named MVP. The Junior Tigers are currently ranked 4th in BC Junior Girls rankings. Come see our Junior Tigers in action this weekend at YHS, January 18-19, as we host the Junior ISA Championships. The Tigers play Friday morning at 9:00 am, then likely again in a semi-final at 6:00 pm. The ISA Final goes at 2:00 pm on Saturday, January 19. 10:00 am for Group A and 11:00 am for Group B. Races typically are over by 10:30 am for Group A, 11:45 am for Group B. Upcoming races are: Saturday, January 19; Friday, January 25; Thursday, January 31; Friday, February 8 – ZONE FINALS. Game 2 for YHS is likely 6:00 pm on Friday.